keep pray for the second baby, sister 🙂 God Bless.. I join you in prayer sister; God bless you and your family! Thank you very much for your prayer, sister 🙂 Amen! God Bless. Thank you very much for you lovely response 🙂 Yes I have read your post. a great post 🙂 Thank you and God Bless. Karina, God bless you too :). It was a blessing reading your blog post. Amen. Praying for you, Karina. Amen! Thank you very much, brother 🙂 God Bless. Dear Karina, I have been in a similar place. You are wise to trust and pray. God comforts us in the waiting. Thank you very much, sister. Yes God always comforts us while we are waiting. Thank you and God Bless. Thank you very much for your book reference. I will absolutely check the book out. Thank you and God Bless. Thank you very much for your prayer. It means a lot to me. Also thank you for asking my father. Praise the Lord he’s in very good condition and enjoying his retirement. Thank you very much, sister. Have a wonderful Sunday. God Bless. Amen! Thank you very much, sister. Have a wonderful day. God Bless. Karina, I know God is with you and your Hubby! answer is already on the way. God bless you both my sister! Dear brother in Christ, Wendell.. Thank you very much for your wonderful poem. I really appreciate it. God Bless..
Amen! Thank you very much 🙂 God Bless. I will join you in your prayers for a second child! Dear Father, please grant Karina her heart’s desire to have another child to raise in Your grace and love. Keep her heart faithful and trusting through this, and thank You for blessing her with the ability to write such beautiful words! In the might name of Jesus! Amen! It’s a great honor to me you pray for me. I’m moved. Thank you very much for your prayer, brother. It means a lot. God Bless and have a wonderful Sunday. Are you safe from the earthquake? Thank you God I am safe and I’m in Paris now. Thank you very much for asking, brother. God Bless. Thank you for this simple reminder to pray. I even spoke about it last evening during a Bible study. If you remember the story of Peter being imprisoned in Acts 12, the church was praying all night. Then, when Peter knocked on the door after the angel delivered him from the prison, the Christians didn’t believe it at first. I don’t believe it was because they had little faith – they just had no idea God would answer their prayers and deliver Peter in the way He did. I’m sure they were probably expecting a miracle of some other kind, like changing King Herod’s heart before having Peter killed, not a midnight angel visit that unlocked chains and opened prison doors. My prayer for you and me is that God would provide answers in ways we might never expected and show how big a God He really is. Dear brother in Christ, Anthony.. Thank you very much for your great response on my post. Yes I always remember the story of Peter when he imprisoned. Yes, I strongly believe God will answer our prayers with His way,of course. Thank you very much for reading also for your prayer. God Bless. Just remember, Karina– we have an anatomy that isn’t always dependent upon our spiritual actions. But, as you can see, we are all praying with you for you and your husband. And in your own prayers, please remind yourself to God of your thankfulness for having been blessed with your first child. Many deserving others have not been so fortunate. Peace. Thank you very much for the reminder also thank you for the prayer for us. I will always remember this comment and will be my self reflection..Thank you and God Bless. You always encourage me so much with your abundant faith in God and His Word! May God continue to have His Face to shine upon you as you seek and look with expectancy for Him to show you His Will for your life and family. Aloha, aunty ! How’s your doing? I hope and pray everything is going well with you and family. Thank you very much for your lovely comment also thank you very much for the prayer 🙂 Warm regards to uncle Wyman. God Bless you all. Thanks for your like of my post, “Red and Yellow, Black and White, “you know the rest;” you are very kind. Karina, this is such a heartfelt, transparent, and encouraging post. 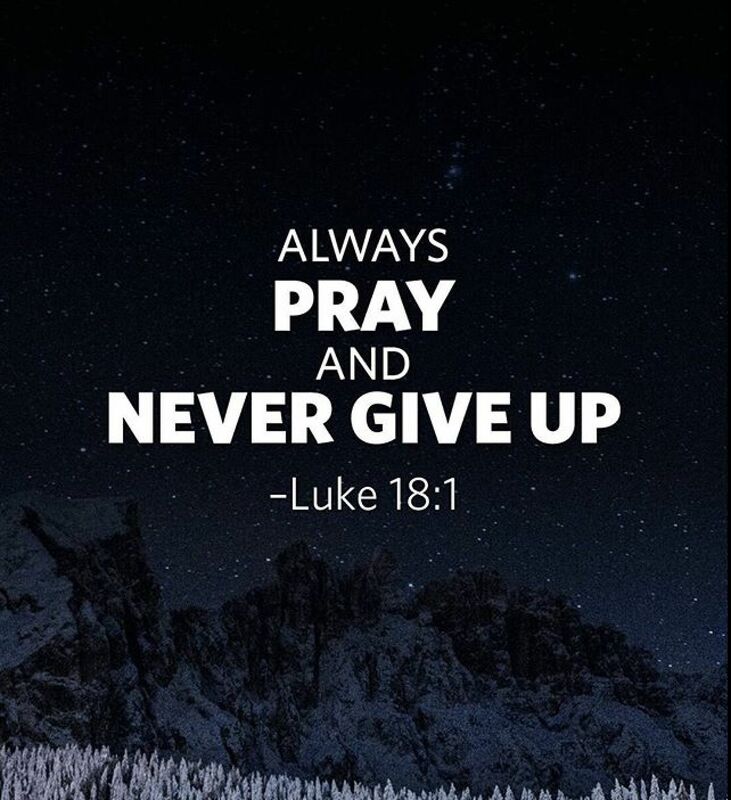 ♥ Everyone gets into a season of waiting and trusting God for His will to be done, His answer, and His timing and this is such a wonderful reminder for all of us to keep on praying persistently, especially as you pray for a long time and don’t see any sign of God answering your prayers. If we could see the answers to our prayers right away every time, it wouldn’t require any faith to keep praying and trusting Him in our wait. Thank you for this. It’s so timely for me in my current season of life. May God bless you and your family abundantly and answer your prayers in His perfect time. You will be in my prayers! Thank you very much for your lovely response on my post. You will be in my prayers too. God Bless. Thanks for your like of my post, “What? Who’s There?” You are very kind.